At the library you can book one of 12 rooms for group study sessions or meetings. Tritonia and the National Repository Library will change over to a new library system during spring and summer, which means that the universal borrowing service will end. Material from the National Repository Library can be ordered as interlibrary loans. You can also find the request form in Finna when searching material from the National Repository Library. If you have any questions, please contact interlibrary loans service ill@tritonia.fi. Safari Technical Books Online in VAMK’s e-resources has been renewed. In addition to about 38 000 e-books, the new O'Reilly Safari Learning Platform includes videos, audiobooks, case studies, conference papers, video tutorials etc. Examples of topics: Business, Desktop and Web Applications, Digital Media, Engineering, Information Technology & Software Development, Math & Science, Personal & Professional Development etc. There is no longer any limitation of simultaneous users for the service. To use the service, you must always sign in with your VAMK e-mail address. Enter your e-mail address on the home page, in the field “Academic email”. When using the service in future, you can use the link “Already a user?” Click here”. You can also create your own username for the service, which enables you to use the mobile app (O’Reilly app). After your first sign-in, you will receive instructions for creating a username by e-mail. Access the new Safari at: https://www.safaribooksonline.com/library/view/temporary-access/?orpq. You can also find a link in the database list in VAMK’s Finna portal, as well as in the LibGuides. In Finna, there are also links to single e-books. You can now access Tritonia’s Ellibs collection with a mobile app. Use the Ellibs app to borrow, reserve and read Ellibs e-books. Download the app for free for iOS and Android devices. Reading e-books is easier with the app, since you do not need a separate reading programme. When using the app, first choose collection (Tritonia), log in with your library card number and PIN code. You can also create a separate Ellibs username, which enables you to read books you have purchased from the Ellibs bookstore in the app. Have you read today's newspapers? You can easily read newspapers and other interesting magazines online, both at the library and at home! As our customer, you have access to two newspaper services, brought to you by your university. More than 7,500 newspapers and magazines from all around the world! Examples: The Guardian, Vogue, HBL, Washington Post, and Le Monde. Access within the university network and outside the university (students and staff): University of Vaasa, Hanken, Novia, Åbo Akademi. A wide range of local and regional newspapers all around the country, for example Helsingin Sanomat, Aamulehti, Ilkka, Vasabladet, and Hbl. Note: The number of simultaneous users is limited. The easiest way to apply for Tritonia’s library card is by filling in the e-form. The card is activated in the library when presenting identification. Also check out our guide for new customers, where you can find useful information on the library facilities, computers, printing and information searching. EduLab supports the development of teaching and learning in higher education. Its main expertise areas are development of the use of ICT in education, production of digital learning material and consultation in both technical and pedagogical issues. 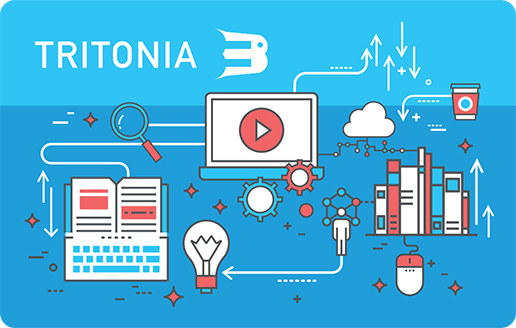 Tritonia supports studying, teaching and research at its universities and universities of applied sciences by offering information resources and guidance as well as services for developing digital pedagogy in Finnish, Swedish and English. Tritonia Academic Library is a joint public library, open for everyone.